* Total number of reviews and star-ratings are based on data collected during the time period Von Deylen Plbg has been using the ReviewBuzz system and may not directly match the data found on each public review site. These two guys do Vondeylen Plumbing and heating very proud. They are kind , courteous , professional, clean and well dressed. They both were very prompt on their arrival. The work that was done was thorough and appears to me to be high quality. Very detail oriented. Von Deylens came out when our furnace was acting up. They quickly identified the problem and assisted us with correcting it. Work was done in a timely manner as as expected. Very professional and explained thoroughly. Bruce was an excellent service person and did a great job. This is what I have trouble with: Without double checking my records I signed up for a one time a year check for the A/C and Furnace. Then Bruce comes and checks on my A/C, which was due from the previous agreement from last year. I should not have to double check my records. But you should not be doubling up the service agreements. Chris was super friendly and professional. He took the time to answer my questions and explain things thoroughly! Thanks again! They were able to install the new central air conditioner in less than ideal weather conditions. They are very dedicated to getting the job done and even discovered a leak unrelated to the job. everyone that comes out to take care of what I need done, does an excellent job. 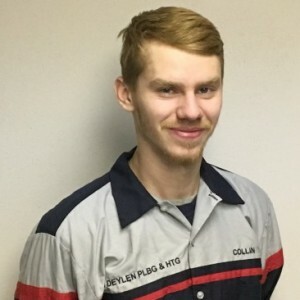 Excellent service and very knowledgeable in determining what was wrong with the central air conditioning unit. Highly recommend for all Lennox service needs. wow what a difference in this house cool and no noise big change compared to before nice job so glad we went with vondeylen you people sure know how to cool things off and this winter warm us up, the installers did a wonderful job clean neat thanks again from customers for life a ten in our book peter bach sr and family. .
Great dependability and service from Jeremiah K at Von Deylen. He serviced our a/c today with a warranty check up. Jeremiah arrived when promised and answered questions and reported how the unit was working. 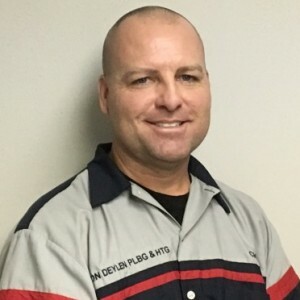 I prefer to have Jeremiah service our equipment since he seems very knowledgeable and professional every trip out to our home. We highly recommend. Just want to say how great Chris was at working with what we had and was up to the challenge.. I would recommend the company and him to all my family and friends...Great Company! Thank you very much for the prompt and fast service! Chris was great and kept me informed. Von Deylen Plbg Team . 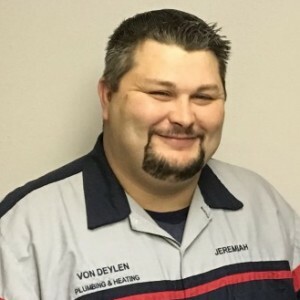 Customer service is always a top priority at Von Deylen Plbg. Our BBB Membership rating is like a badge of honor as we continuously strive to provide the best experience for our clients.